Hellblade proves there's "a space between indie and AAA games"
"In the first week, we sold an amazing 250,000 units." In Ninja Theory's latest—and final—developer diary, the studio announced that Hellblade: Senua's Sacrifice had successfully proven that there is indeed "a space between indie and AAA games that could work commercially." Amid the usual flurry of nerves launching any new product, the team admitted that it had been concerned that the game's portrayal of mental illness would "blow up in a storm of controversy"... and it had been lucky that the game's early progression-halting bugs—which it worked fast to patch—hadn't snowball into a more serious problem. "In the first week, we sold an amazing 250,000 units across PlayStation 4 and PC at $30," said "product development ninja" Dominic Matthews, before confirming the game had now almost doubled that in the three months since launch. This meant the studio has smashed its plans to break even and make a profit several months ahead of schedule. For more—including the touching feedback the team received in light of its careful portrayal of mental ill-health—check out the video above. 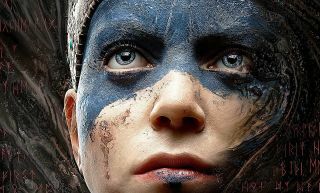 We gave Hellblade a 78, stating: "Other games have focused on such themes, sure, but few have delivered the truth of that message with such conviction."